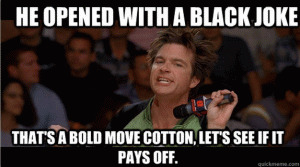 In this area, you will have the pleasure of viewing the most in demand viral funny bold move cotton meme and jokes from across the World Wide Web about things that people do that are bold or risky. 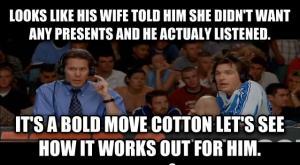 Cotton is a sportscaster from the movie Dodge Ball and he gave hilarious commentary on what the players were doing. 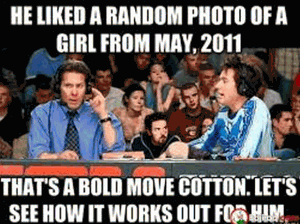 These hilarious but on point movie stills, pictures and photo shopped images are classics refer to things people do that may not have the best outcome for them like liking a pic today that a female posted years ago. 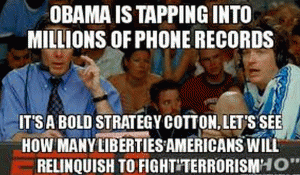 Take some time to check out the memes and jokes that we have added here. You can join in by rating which memes you think are the best ones and sharing sharing across your social media channels. It appears she wants a boyfriend, but states she's strongly feminist. 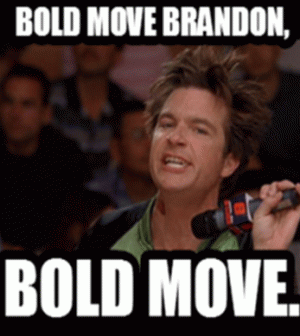 That's a bold move Cotton let's see if it pays off. 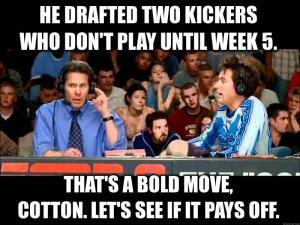 He drafted two kickers who don't play until week 5. 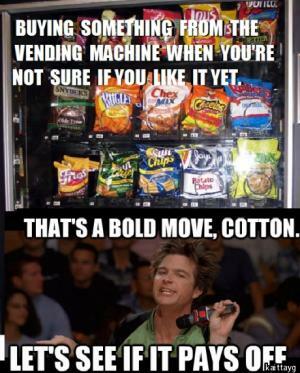 Buying something from the vending machine when you're not sure if you like it yet. 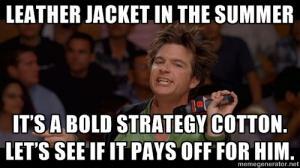 It's a bold move Cotton let's see how it works out for him. He's wearing a legalize pot shirt to his hearing.